In a crowded market such as the watch market, the key to a brand loyalty is the personal connection that a brand can establish with its fans or customer base. 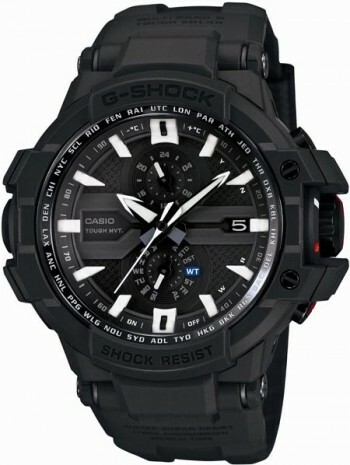 For Casio, the way they establish this connection with the fans is to offer G-Shock Limited edition of watches. What makes G-Shock Limited edition so unique in this regard is their partnership with external parties in coming up with their limited edition series. 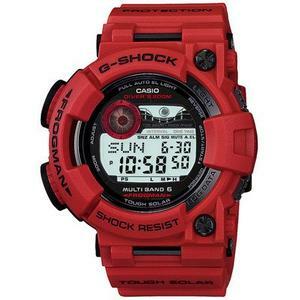 Throughout the G-Shock’s decades of history, they have fostered numerous collaboration from the likes of environmental organization to designer label to TV show. This has attracted exodus of collectors who among them, see values in anything that is limited. 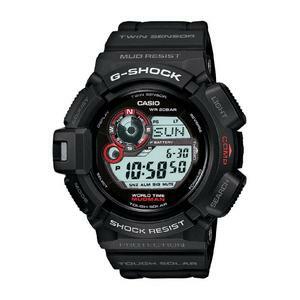 In addition, this provides Casio the opportunity to tie their customers into coming back for more. Over the years, G-Shock has collaborated with designer names such as US-based Stussy, UK-based Illest to Japanese-inspired UK label Passarella, to produce their highly sought after G-Shock limited collection. Their collaborator list include charitable organizations, sports club, graffiti artists to British Royal Air Force (RAF). 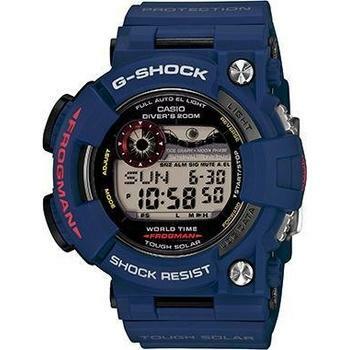 GWA1000RAF-1A, the birthchild of collaboration between G-Shock x British’s RAF, has won numerous praises and it is one of the highly sought after model after its release in 2012. 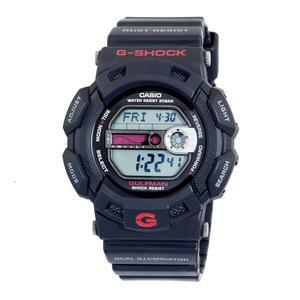 Every 5-years, G-Shock special anniversary would be made available and sold only for a limited quantity and period. While a G-Shock watch may last you for years (or even a lifetime) if taken care well, 5 years is a reasonably good time to add a new addition to your wardrobe collection. Depending how you see it. 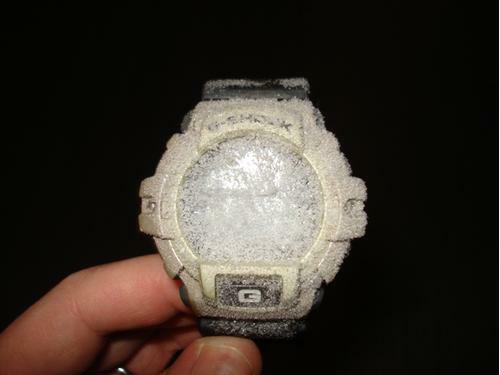 Other than owning a piece of their loved brand, many fans justify their G-Shock limited edition purchase by seeing it as an investment rather than spending. To celebrate three decades of journey, Casio is kicking off the year-long 30th Anniversary celebration by releasing a total of 6 G-Shock limited edition models: GWFT1030A-1, DW6930A-4, G9330A-4, GF8230A-4, GA110EH-8A and GLX150X-7. They are all awesome models that incorporate design enhancements from past highly popular models. 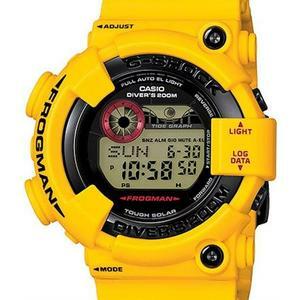 GWFT1030A-1 leads the pack with design incorporation from hugely popular FROGMAN series and comes with Multi-band 6 Atomic Timekeeping. This particular model comes with hefty price tag and retails at more than $1,500 in US. Then there is the GA110EH-8A model that is the result of collaboration between Casio and New York based World’s famous graffiti artist, Eric Haze, who happens to work on the G-Shock 25th Anniversary project previously. This model has all the elements to showcase a strong personality of whoever wearing it. The white casing with red contrast at the foreground makes it a boldly stylish watch to wear. If GWFT1030A-1 price makes it unaffordable for many, GA110EH-8A certainly gives every fan a reason to smile. 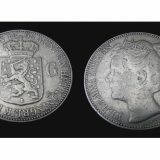 Its low retail price makes it highly sought after by many fans around the world. However, it appears that tough watches fans are snapping up this model fast and availability of this watch has somewhat become a rarity. Due to this, my last price check in Amazon shows the cheapest selling price for this model to be considerably higher than its MSRP. 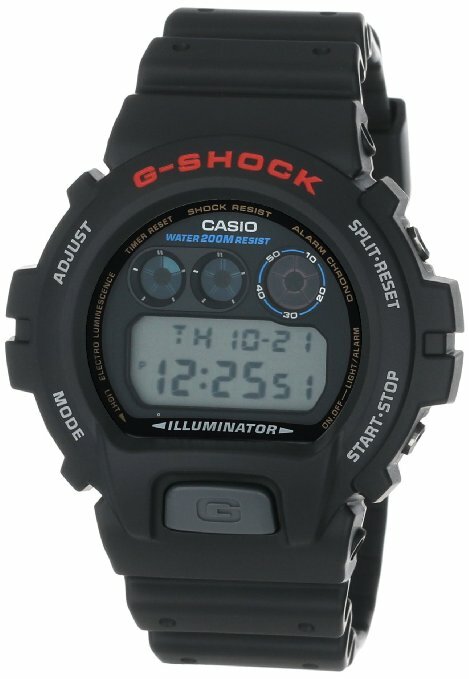 In October 2012, Casio announced a new addition to their G-Shock limited edition collection for the year. As if the impressive initial 7 models of the 30th Anniversary line-up is not enough to spoil G-Shock fans and collectors worldwide with choices, they introduced GDF-100BTN-1 model. The latest release is a product that is the result of another fine collaboration between G-Shock and Burton, the world’s acclaimed snowboard maker. According to them, this special model is still part of the build up to next year’s three decade celebration. The GDF-100BTN-1 is powered by two special sensors, one for measuring air pressure and the other for temperature reading. This makes it among the most desired gear to support one’s outdoor adventure and activity. What makes this watch all the more special is the mix of black and ice blue body, from the watch strap to the watch face. It is rare to see a watch with such great functionality to feature such a fine mix of colors. In my prediction, this will appeal not only to G-Shock fans but also to casual watch seekers. I’d expect this watch to be popular and selling out fast. Barely 2-months after its announcement, the Japan-made model of GDF-100BTN-1JR is already fetching way higher than its MSRP. Near the end of 2013, Casio announced what is labeled as a completely refined series. It is the MT-G series that we’re talking about. What better way to wrap the year-long 30th anniversary celebration other than to release one of the most exclusive G-Shock model. As part of the new MT-G collection, MTG-S1030BD-1A features a gold highlights and unique hint of red. Mind you that only 1,000 units of MTG-S1030BD-1A are produced. If you own one, lucky you. You shall see what price it will fetch you in 1-year time. As you can see, G-Shock limited edition watches are not only good looking but they are worth every consideration as an instrument haven. In every G-Shock family, from Classic to Master of G, you can find G-Shock limited edition watches. 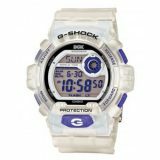 If you are looking for more G-Shock ideas, make sure you check out our pick for the best white G-Shock watches. 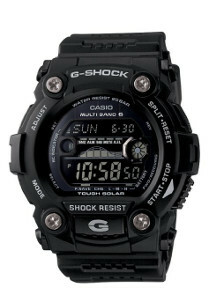 Casio G-Shock watches are synonymous to tough watches. That is a fact. That is the tagline that has carried G-Shock to its current cult-like status since it was first introduced 30 years ago. If you are skeptical and think it is nothing more than a marketing gimmick, watch the video below to see the endurance tests that all Casio G-Shock watches have to go through before they can be labeled as G-Shock. 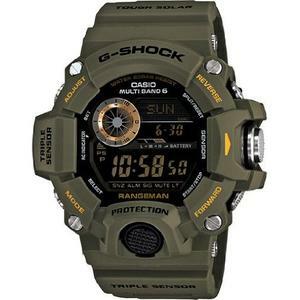 I have not seen any other watch brands coming even close to what G-Shock promises to offer. Tough. 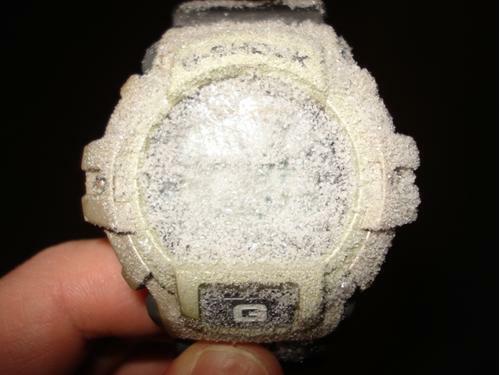 200m water resistance. These are two basic features that you can expect from any G-Shock watch that you purchase. With three decades of history, we have seen lots and lots of G-Shock models released each year. 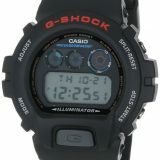 If you are new to the world of G-Shock, chances are you might be puzzled with the many models available on the market. Even after hours of browsing, you would still not be able to remember which serial is for which model. The model number of G-Shock watches appear cryptic to most people, particularly newbies to this world of tough wristwatches. I’ve spent some time researching and tried to decrypt the G-Shock serial number. I managed to decrypt them but I have not been able to put meaning to some of the parts. Nonetheless, I have cracked the most important part that contains the most important information to help you remember the watch model easily. Each G-Shock serial number consists of 5 parts. The format is XXX9999XXX-9XXX where ‘X’ refers to alphabet and ‘9’ refers to numeric. Every G-Shock serial number begins with alphabet, but it ranges from single to maximum of three alphabets. There are models with more than 3 alphabets but those are rarity. Based on the models available, I have tried to see if the alphabet prefixes can be associated with any meaning. It seems that it is used to indicate the watch features or capabilities. For example, it seems logical that ‘DW’ is used as abbreviation for ‘Digital Watch’. 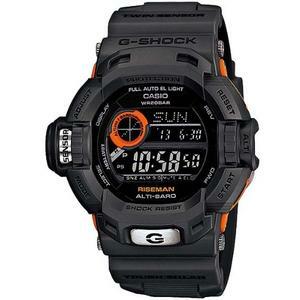 Then ‘GA’ is used as abbreviation for ‘G-Shock Atomic’ and ‘GLX’ is used for ‘G-Lide’. You can extrapolate from here, but I can’t pinpoint for sure what is each abbreviation for. The second part of the watch is numeric. In most cases, it consists 3 or 4 digits. These digits are used to indicate the casing design that is used in the watch. You may be surprised but despite having released hundreds (or maybe thousands) of models in its 30 year history, the number of casing design is surprisingly low. Indeed, there are only few most popular casing models. The 6900 case model is the most widely used of all the models. Then there are the 100, 110, 5600, 8900 and 9000 models. At this point, having knowledge of the two parts of the information is good enough to help you remember easier. If you consider only these 2 parts of information, say DW6900XXX-9XXX compared to GW6900XXX-9XX, the base casing used in these two models is the same but they differ in terms of features and capabilities. Take another example is the GD110-1 versus GA110EH-8A. You now know that the two watches are using the base casing. The third part of the watch is alphabet. This is the trickiest of all. This part is optional and not all models will come with this. Decrypting the meaning associated with this third part of the G-Shock serial number is also hard. Based on the analysis I carried on a number of the G-Shock watches, this third part of the G-Shock serial number seems to indicate the face design or face color of the watch. For example, ‘RG’ is used for rose gold face, ‘MF’ is used for metallic gloss and ‘GB’ is used for gold face. The second last part of the G-Shock serial number is numeric. This is the most consistent of all. Only a single digit is used and my interpretation has been consistent with few models that I have analyzed. ‘1’ is for black. ‘2’ is for blue. ‘3’ is for green. ‘4’ is for red. ‘5’ is for brown. ‘6’ is for purple. ‘7’ is for white. ‘8’ is for grey. and ‘9’ is for gold. 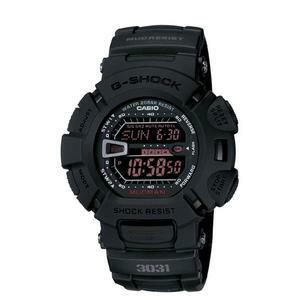 So, if you are in love with black and want nothing but black G-Shock watches, then you just need to remember that you are looking for G-Shock serial number that looks like ‘XXX9999XXX-1XXX’ and if you are looking for red G-Shock watches, then your G-Shock serial number looks like ‘XXX9999XXX-4XXX’. The last part is alphabet and I can find little correlation between the watches with the same last part of their serial number. But there is one thing that you can be certain of. If it contains the letter ‘J’ or ‘JF’, then the model that you are looking for is certainly a Japan export set. The color white carries with it many good or positive meanings. It is a color that symbolizes purity, perfection and simplicity. If you love white watches and you are a fanatic about tough watches, then you would definitely be looking for white G-Shock watches. Rather than going through each G-Shock model and try to find out if the white model is available, it is good to approach your search from different direction. Bottom up. Top down. Or whatever you may call it. 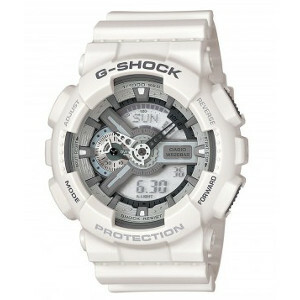 I have handpicked 3 best-selling white G-Shock models. My criteria for picking the G-Shock white winner is simple. The construction of the list is made up three steps. First, I have drawn a list of all the white G-Shock models that are available on the market today. 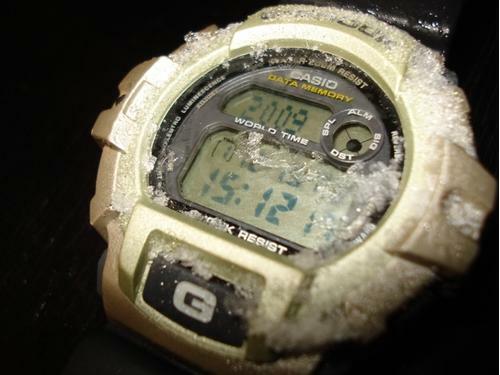 In total, there are close to 30 white G-Shock watches. Once I have the list ready, the second step is to hunt for customer reviews and ratings for each model. Next to each white G-Shock model in the list, I list down its average rating, number of feedbacks and break down the positive and negative feedback. At this stage, the task is to filter only the watches with good reviews. At the end of the second stage, the list is down to 15. 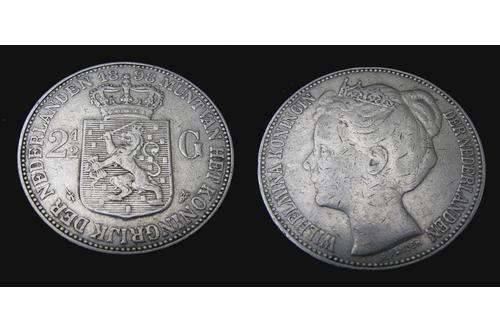 The third and final stage is to introduce the price factor. 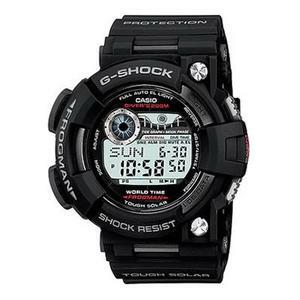 All the white G-Shock watches that make it to this last stage are generally popular. So, the final stage is to let the price decide which model is the best value for money. 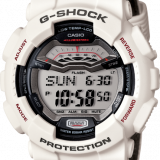 Below is the final list of the Top 10 G-Shock white watches. 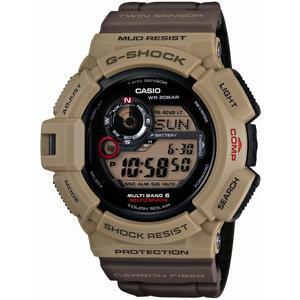 At the top of the list is the G8900DGK-7. 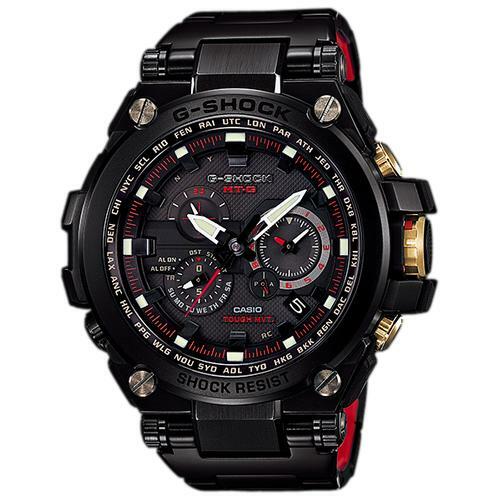 G-Shock G8900DGK-7 is one of the most recently released limited edition watches in celebration of G-Shock’s 30th Anniversary. 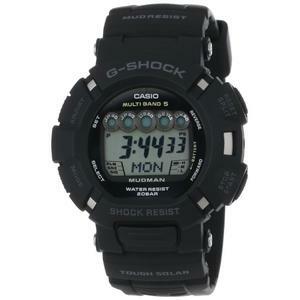 This watch is another fine collaboration from G-Shock and Steve Williams-founded DGK (a.k.a. Dirty Ghetto Kids). Steve Williams is a street skateboarder and he is among the world’s most influential skaters. 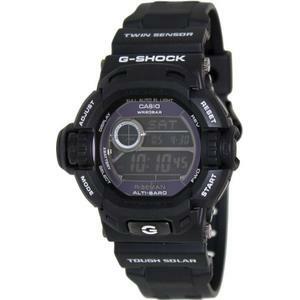 The G8900DGK-7 features a white resin band with a hint of purple accents on its casing. The color combination and neutral face design makes it one of the most beautiful white G-Shock watches that I have ever seen. 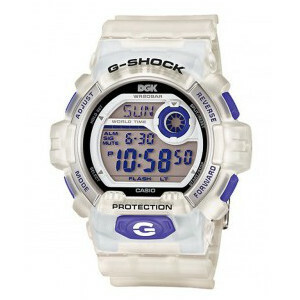 At the time of its launch, the MSRP of this G-Shock white master time piece G8900DGK-7 was $130. But given its limited availability, my last check at Amazon seems to indicate that this G-Shock white watch model is now retailing at a price much higher than its MSRP. I’m not talking only the best white G-Shock watch out there. I bet you can find any other white watch from any other brands that can match the stunning beauty of the DW6900NB-7. The DW6900NB-7 is high on simplicity and it looks casually stylish. The face dial of the DW6900NB-7 is black in color, giving it the most beautiful contrast between the white resin and black dial. 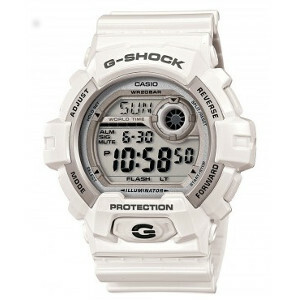 The GA110C-7A is a G-Shock white watch that belongs to the Classic X-Large G series. 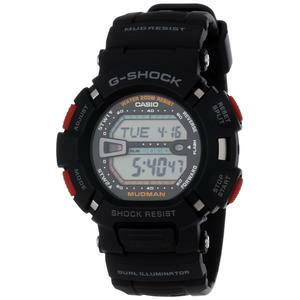 If you are looking for a watch that is big, sturdy but minus to clumsy look, the GA110C-7A is your option. But despite its great design and appearance, the low down of the GA110C-7A is its poor dial contrast. 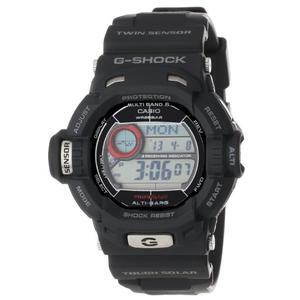 A mixture of black, white monotone and grey color decorate the strap and casing of the GA110C-7A. 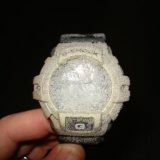 The LED illumination that is part of the GA110C-7A has also received poor marks from users who have bought this watch. 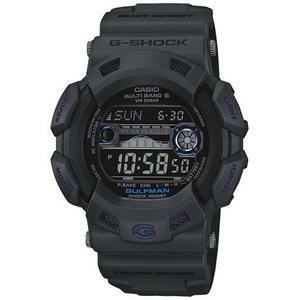 If you have been frustrated that all the watches have so far been too small to fit into your wrist, try G-Shock G8900A-7. 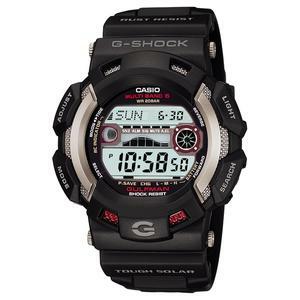 The G8900A-7 is a G-Shock white model that is built using the large case 8900 series. The diameter of G8900A-7 is 55mm or 20% larger than the 46mm of normal wrist watches. But if your current G-Shock watches are fitting well into your wrist, you might want to take note of the size of this watch. Not everyone would feel comfortable wearing the G8900A-7, but if you do, good for you. 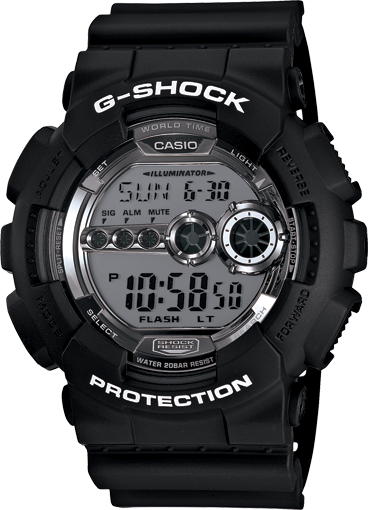 The G8900A-7 is an awesome creation from the guys at G-Shock. 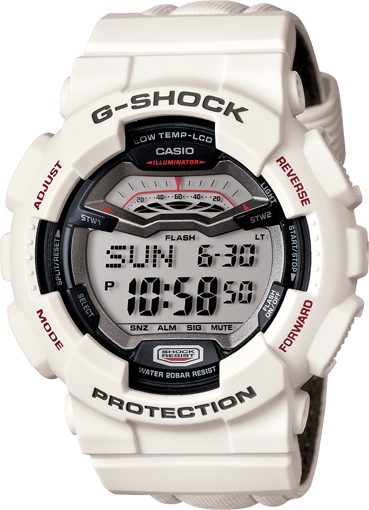 Whoever says tough watches cannot be white, they must have not seen the white G-Shock collection from Casio G-Shock. If you are still craving for more tough white watches, Casio has recently added white into their G-Shock military inspired series.